Massimo Biondi is a Marradi based artist. His most recent personal exhibitions were presented in 2004 in Capalbio, 2006 in Florence and 2007 in Udine. 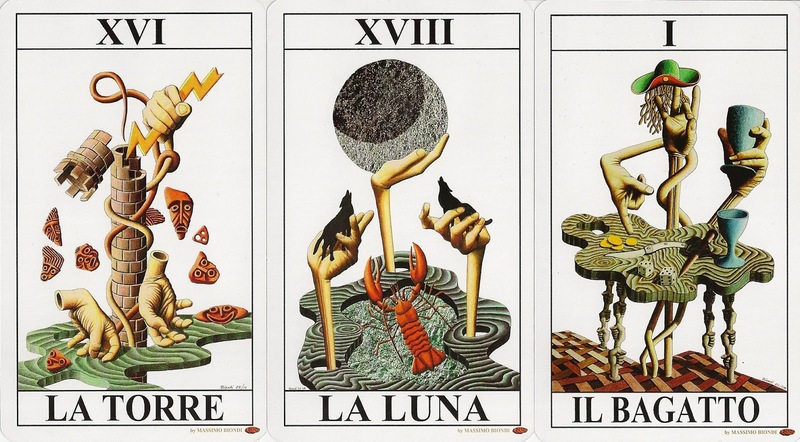 Followed by an exhibition of a series of paintings (twenty-two works) revisiting in a metaphysical-surrealistic viewpoint the Major Arcana. The exhibition took place in the Palazzo Medici Riccardi in Florence from November 30th 2012 to Jenuary 2nd 2013. 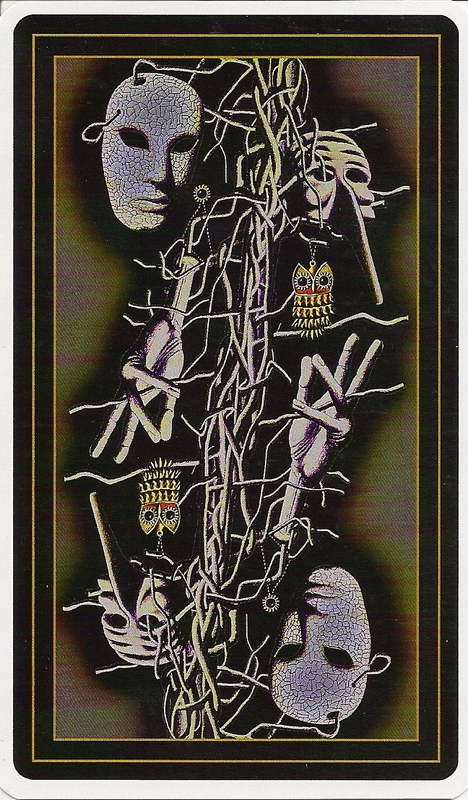 The paintings were printed up into a deck of cards. The artwork is collage, with the use of different materials and the bold graphic mark, combined with an elegant creative ability. 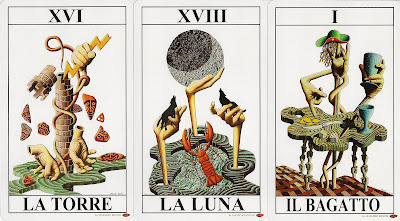 To the traditional iconography of Tarot, Massimo Biondi also adds the element of hands, which are the protagonists of the interpretation of each card.